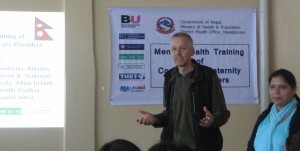 Today saw the publication of a paper analysing the long-term development of Nepal . 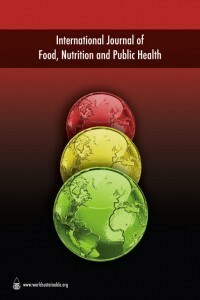 It offers insight into Nepal’s position in the country’s demographic transition in relation to its nutrition transition. In traditional societies both fertility and mortality are high and in modern post-industrial society both are low. 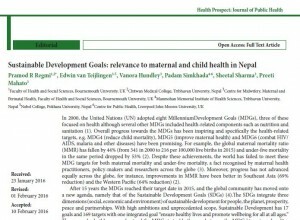 The lead author Yagya Prasad Subedi is a Ph.D. student at the University of Aberdeen and his co-authors are based at Liverpool John Moores University (Prof. Padam Simkhada, who is also BU Visiting Faculty) and in the Centre for Midwifery, Maternal & Perinal Health (CMMPH) in the Faculty of Health and Social Sciences (Prof. Edwin van Teijlingen). 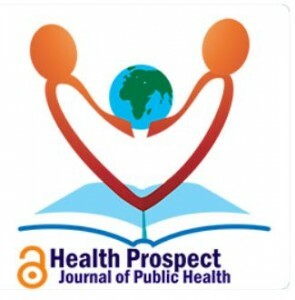 Subedi, Y.P., Simkhada, P., van Teijlingen, E. (2016) Where is Nepal in the Demographic Transition within the wider context of the Nutrition transition? Open Journal of Social Sciences, 4: 155-166. 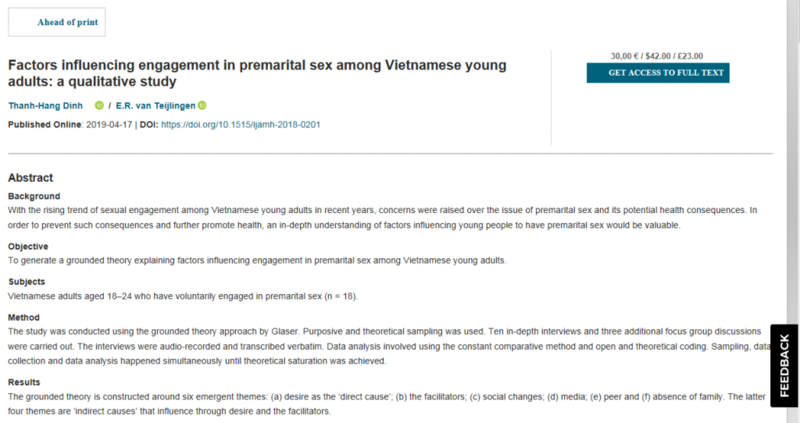 The paper is freely available, click here! 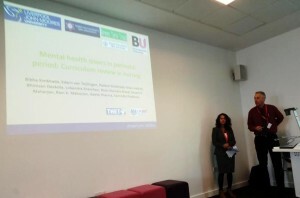 Presentation by PhD student Preeti Mahato Jan 27th. 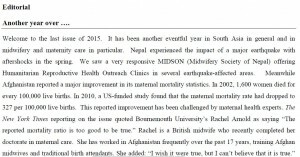 On Wednesday Jan. 27th CMMPH PhD student Preeti Mahato will present her PhD research ideas under the title “Addressing quality of care and equity of services available at birthing centres to improve maternal and neonatal health in western Nepal.” Her presentation will be held at the Lansdowne Campus at 13.00 in room 301 in Royal London House. 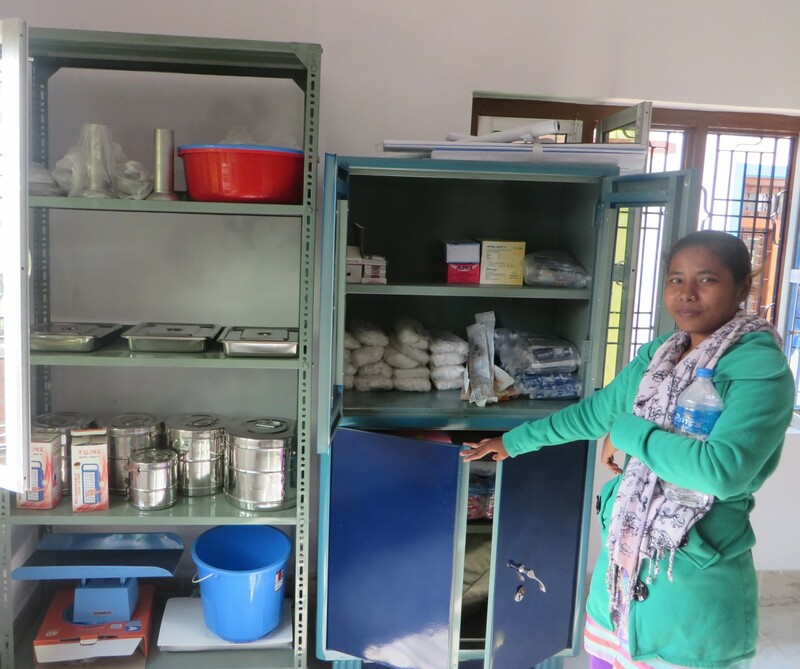 Preeti’s research focuses on birthing centres in western Nepal; and quality and equity of service available at these facilities. 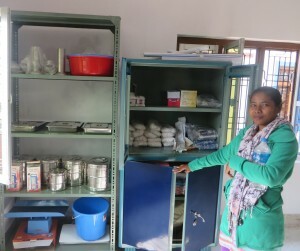 In Nepal, birthing centres act as first contact point for the women seeking maternity services especially the basic obstetric care. 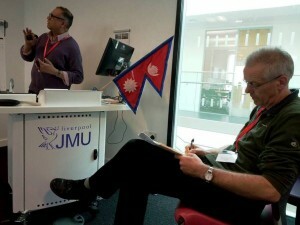 The focus of this presentation will be to talk about the first review article Preeti Mahato wrote for the ‘Journal of Asian Midwives’ entitled “Birthing centres in Nepal: Recent development, obstacles and opportunities”. 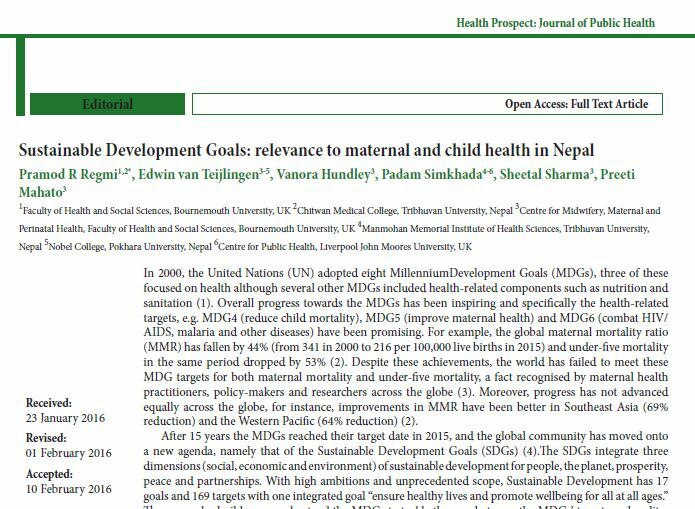 The article has been accepted for publication in June 2016 and focuses on introducing birthing centres, their current state of operation under the health system of Nepal, barriers they are facing and what could be done to improve their present state. The quality of care issue available at birthing centre is emphasised, since the number of these facilities are increasing however there is a growing trend to bypass and uptake services at hospitals. 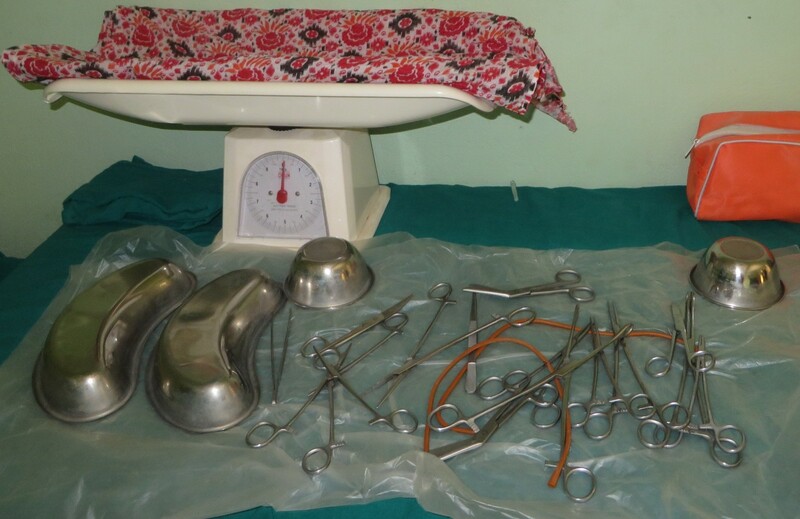 Despite barriers to utilisation of services at birthing centres, they can play an important role in increasing institutional delivery rate and proportion of births benefiting from a skilled birth attendant. The second part of presentation will provide a brief summary on what Preeti has done since writing a review article, as she has worked on a systematic review on quality of basic obstetric care facilities in low and middle income countries. Preeti Mahato has worked in the field of public health in Nepal for three years after completing her Master of Public Health. 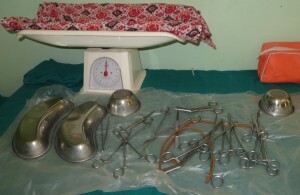 She has an interest in sexual and reproductive health, women’s health and maternal and child health. Working as a public health officer she was involved in maternal and neonatal health that developed her interest in pursuing a doctorate related to maternal and neonatal health. 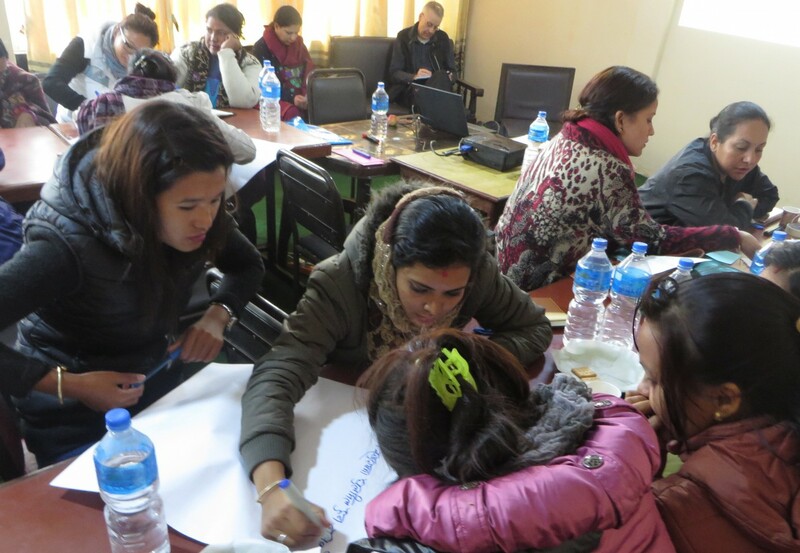 Part of her work in Nepal also included monitoring and supervision of birthing centres in rural areas of Nepal and that is how she became motivated to start a PhD at BU. 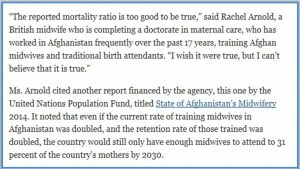 BU student quoted in The New York Times! Arnold R, van Teijlingen E, Ryan K, Holloway I. 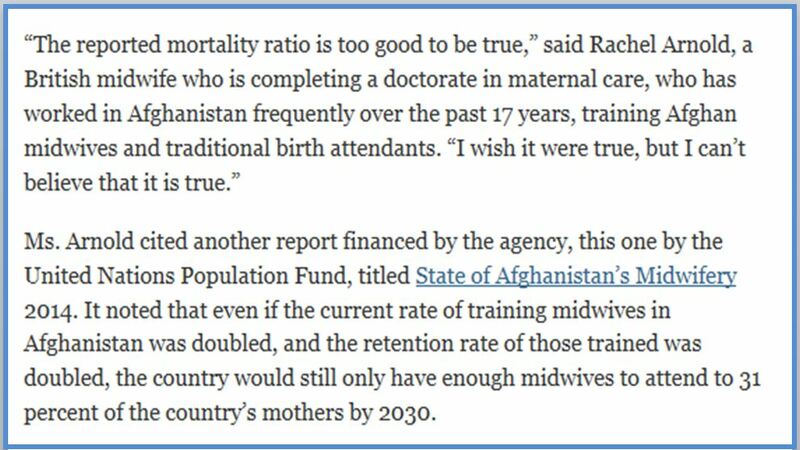 Understanding Afghan health care providers; a qualitative study of the culture of care in a Kabul maternity hospital. 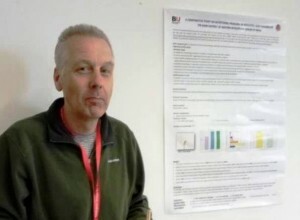 BJOG 2015: 122(2): 260–267. 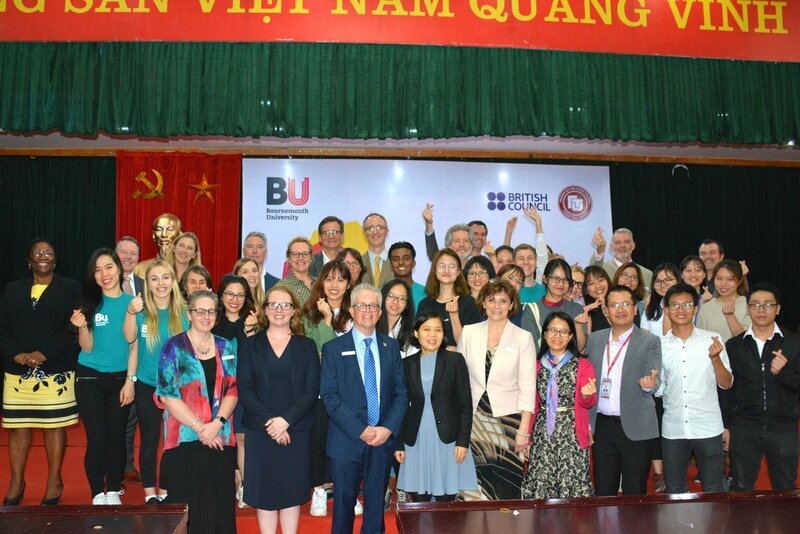 The latest issue of the Journal of Asian Midwives includes an article Twinning in Nepal: the Royal College of Midwives UK and the Midwifery Society of Nepal working in partnership by BU Visiting Faculty and NHS Poole midwife Jillian Ireland, co-authored by Joy Kemp (RCM Global Professional Advisor) and BU Professor Edwin van Teijlingen. 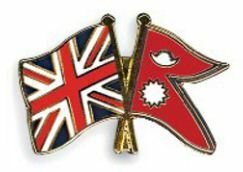 The Royal College of Midwives (RCM) in the UK has twinned with the Midwifery Society of Nepal (MIDSON) to help strengthen the latter, through its Global Midwifery Twinning Project (GMTP). The GMTP aims to strengthen midwifery and develop leadership, advocacy, and campaigning skills both at the level of the association and at the individual midwife level. Reciprocity is an important aspect of twinning as the RCM also hopes to strengthen midwifery in the UK through greater engagement of its members and a raised profile of global maternal and new-born health. 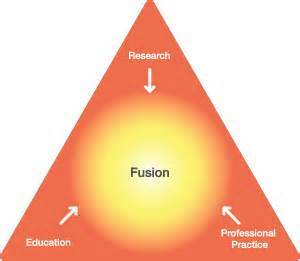 This paper describes the importance of collaboration between established national midwifery organisations and newly established ones. 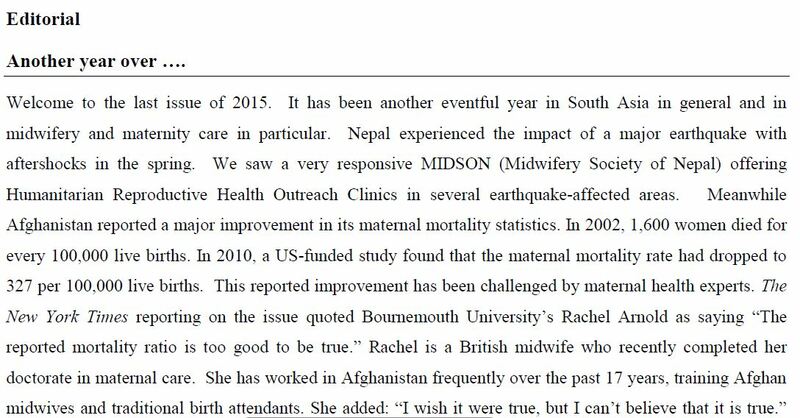 It includes a case study outlining the experience of a UK midwifery volunteer in Nepal. 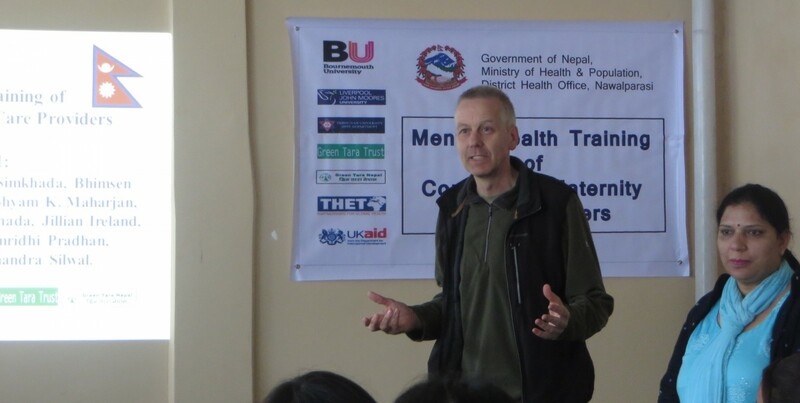 The paper ends with some thoughts on the effects of the GMTP project on midwifery in Nepal. 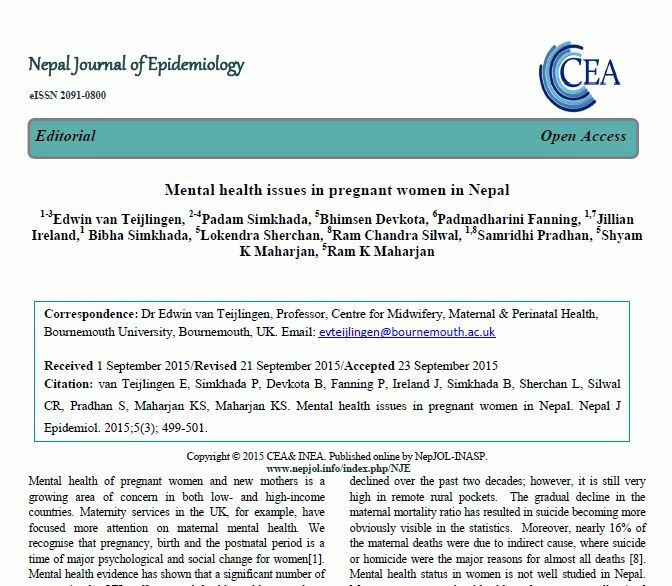 This paper is part of a larger body of research work conducted by the Centre for Midwifery, Maternal & Perinatal Health in Nepal. Ireland, J, van Teijlingen, E, & Kemp, J. 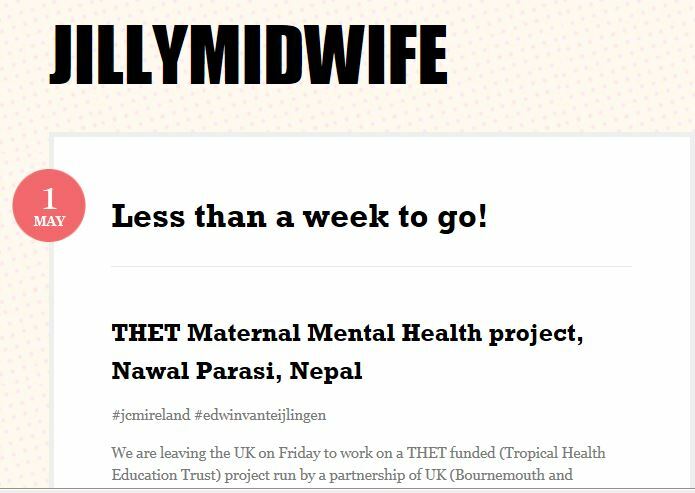 (2015) Twinning in Nepal: the Royal College of Midwives UK and the Midwifery Society of Nepal working in partnership. 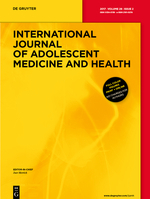 Journal of Asian Midwives. 2(1):26–33.